Meet the Nexson Group’s experts at one of the largest oil and gas trade shows, the KIOGE OIL&GAS at ALMATY in KAZAKHSTAN from September 26 to 28, 2018. 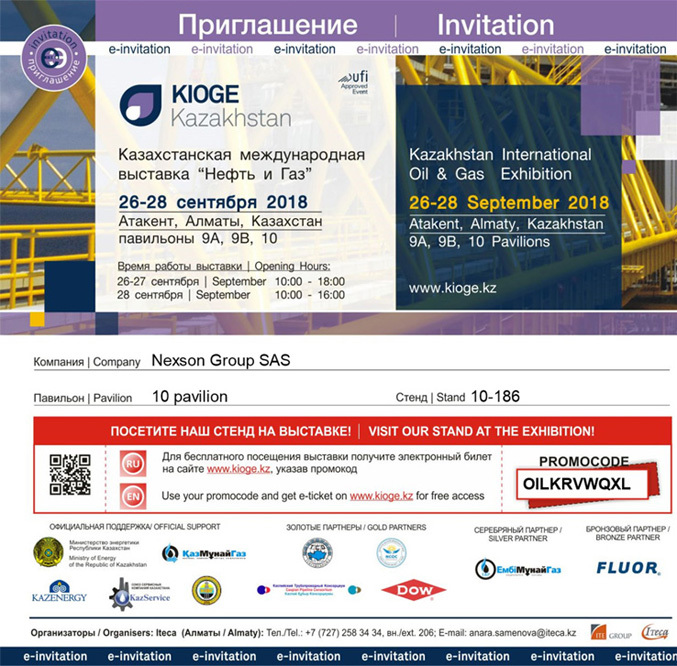 KIOGE OIL&GAS is a great opportunity for Nexson to exhibit and promote its products and know-how to the world at this exhibition dedicated to the oil and gas industry. It is an essential event to measure the market, its projects, identify the competition and present quality know-how. Attending KIOGE OIL&GAS is an excellent opportunity to reach the oil and gas market in Kazakhstan and other countries around the world.